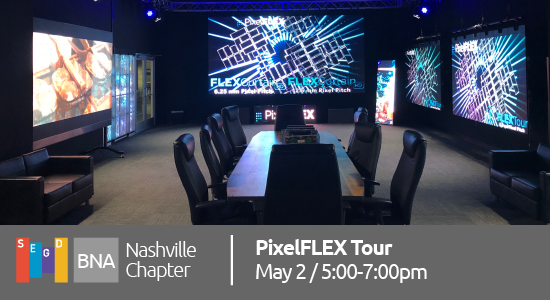 Join us in the newly created showroom at PixelFLEX to discover new ideas for incorporating LED displays into the built environment. The fine folks at PixelFLEX will have their latest products on display, and they will be on-hand to talk through various applications--from artistic to all-weather. This tour will also be a great opportunity to get a first hand look at the installation, maintenance, and content considerations you should keep in mind when proposing LED as part of a solution. Want to learn more about PixelFLEX? 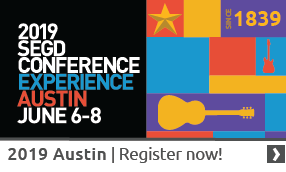 You can some of their past work right here on the SEGD web site. Be sure to let us know you are coming. Free registration on Eventbrite. No year is complete without a holiday mixer. 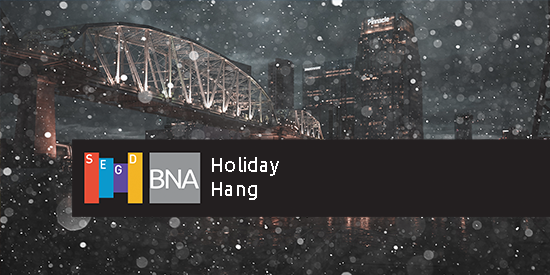 Come out after work on December 20th for a little holiday hang out with the best graphic designers, space planners, architects, technology integrators, and fabricators in town. Our friends at Smith and Lentz will graciously save a few tables for us, and attendees will be responsible for purchasing their own holiday libations. Please join us in welcoming the SEGD Nashville Chapter.This addition brings SEGD's global chapters to 33. The chapter will be led by Laura McCoy, Partner at TollesonMcCoy and Jeff Peden, Director of Sales and Marketing at Anode. Laura McCoyis the managing partner of TollesonMcCoy, which she and Ansley Tolleson founded in 2005. Shocked to find herself at this age and experience level, Laura has designed signage, wayfinding systems, logos, print pieces, interior branding projects, donor recognition walls, patient warning icons and much more. In fact, her neighborhood sign was published in Southern Living and her East Nashville logo has become a Snapchat filter. Laura enjoys working as a team with architects, designers and owners to achieve the best solution for a project. She believes that applied designs should work with a space, not overpower it, and follows the philosophy, “Less is more.” Her current challenges include learning how to delegate, finding room to store all of her different TM hats and helping to start SEGD Nashville. Jeff Peden has over nine years of experience in defining the conceptual, technical, and budgetary components for touchscreen exhibits and interactive experiences designed and produced by the Anode team. He focuses on integrating technology and digital storytelling into physical visitor spaces. Recent projects cover a wide variety of emotional stories and technical subjects for interactive and digital experiences for the Country Music Hall of Fame and Museum, Vanderbilt University School of Engineering, Mars Petcare, Nashville Public Library, Montgomery Bell Academy, BuzzFeed, ESPN X Games, and Mercedes Benz. Local to Nashville? Keep a lookout for upcoming events.